KleenGuard Personal Protective Equipment (PPE) enables rather than inhibits – allowing for maximum productivity and safety for you and your employees. KleenGuard Personal Protective Equipment (PPE) enables rather than inhibits – allowing for maximum productivity and safety for you and your employees. 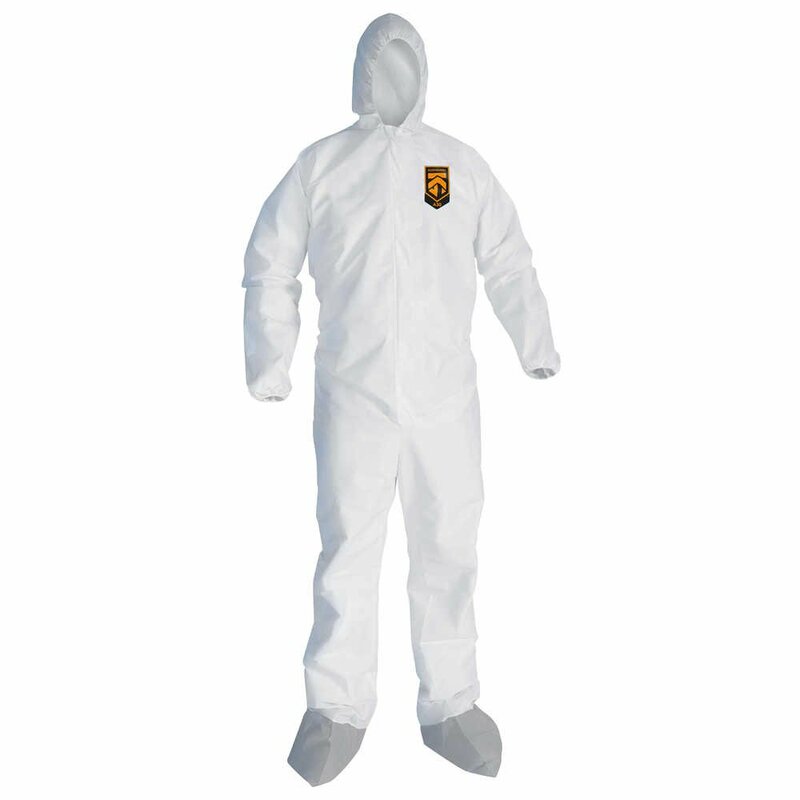 The Kleenguard A30 Breathable Splash and Particle Protection Coveralls feature breathable fabric and Reflex design, which offers excellent fit (with elastic back) and freedom of movement. The material is strong and abrasion resistant, and filters out many water-based liquids and dry particles. Other A30 features include the seamless front (for primary exposure area), a 1 inch zipper flap, hood, elastic wrists and new skid-resistant boots that provide up to 68% improvement in traction on wet and dry surfaces when compared to our former boot material. They protect against hazardous dry particles, aerosols and non-hazardous light liquid splashes, and they're perfect for environments such as pharmaceutical research, aerospace, maintenance and general manufacturing. Making the right Personal Protection choice is difficult. Perform with distinction with KleenGuard Personal Protective Equipment (PPE). Making the right Personal Protection choice is difficult. Perform with distinction with KleenGuard Personal Protective Equipment (PPE).